Welcome to UpFarmer , a website dedicated to the advancement of vertical farming and vertical gardening, indoor farming, urban farms, education, and inspiration. Why grow vertically? Because growing vertically saves space, which can lead to better land usage and better stewardship. For many professional growers and hobbyists, vertical farming is an opportunity to grow crops in a limited space using non-traditional methods. For some, that means taking advantage of the existing built environment － a balcony, a rooftop, or an entire building. For others, it means creating a new space － "growing up" with a greenhouse or highly-efficient warehouse farm － or simply squeezing the most production possible from a tight space with "container farming," or even "growing down" vertically, with a basement grow-room or cold frame (pit greenhouse). In the spirit of optimizing space, minimizing impact, and making incremental system improvements, UpFarmer also explores farming non-traditional crops and non-traditional livestock. Controlled-environment agriculture (CEA) attempts to avoid some of the risks and drawbacks of traditional agriculture. These distinctions can be turned to marketing advantages. Looking for advice? Growers? Vendors/Partners? Customers? 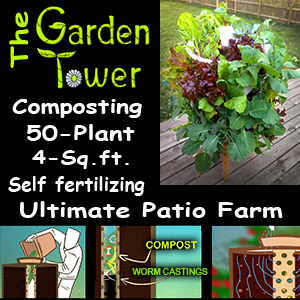 Startup money for a vertical farming project? Please contact Samara Business Development (@SamaraDev) using the form below.